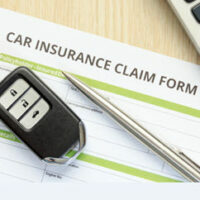 Florida’s no-fault insurance law has made it easier for many accident victims to receive compensation. After a collision, injured motorists contact their own insurer to tap their personal injury protection (PIP) benefits, which are no fault benefits. As a result, it does not matter if the motorist is to blame for the accident, they still can access their PIP benefits. However, PIP benefits are often inadequate to fully pay for medical care and replace lost wages. In all but the most minor crashes, motorists will have expenses that far exceed their PIP benefits. In these situations, it is very helpful to have additional insurance coverage. Most motorists carry only $10,000 in PIP benefits. As anyone who has broken a bone, suffered a bad burn, or experienced a spinal cord injury knows, $10,000 gets eaten up very quickly. With the cost of medical care skyrocketing each year, $10,000 will cover less and less medical care going forward. If you suffer a minor soft-tissue injury that requires an ice bag and a handful of ibuprofen, you will be okay. But if you need diagnostic tests and any time in the hospital, your PIP benefits are likely inadequate. Anyone who needs to miss work is in even deeper trouble. Unfortunately, PIP benefits are typically exhausted before the motorist can receive replacement of any lost wages, so economic losses can quickly spiral out of control. It is not unusual for someone to incur $30,000 or more in medical expenses and lost wages for a moderate injury. If your PIP benefits are inadequate, you might make a claim with the other driver’s bodily injury liability insurance (BI). However, Florida does not require that drivers obtain BI coverage—and few drivers do. As a result, you will not be able to get more money from the other driver to cover your expenses. This is where underinsured/uninsured motorist (UM) coverage comes in. This coverage will pay for medical expenses and replace lost wages if the other driver does not carry BI coverage, or if their BI coverage is inadequate to cover all of your expenses. Even better, UM coverage also compensates you for pain and suffering, which PIP benefits do not. Unlike PIP benefits, UM coverage only applies if the other driver is at fault for the collision. If you caused it, then you can not tap your UM benefits. Fortunately, UM coverage is not terribly expensive, and your insurer must offer it to you. Pay the extra in monthly premiums to garner peace of mind when you need it most. Accidents happen, and prepared Florida motorists should have UM insurance. In certain situations, you might also be able to bring a lawsuit against the at-fault driver for additional compensation. To learn more about your options, please contact a Daytona Beach car accident lawyer today. Bundza & Rodriguez offers a free consultation, which you can schedule by calling 386-252-5170.